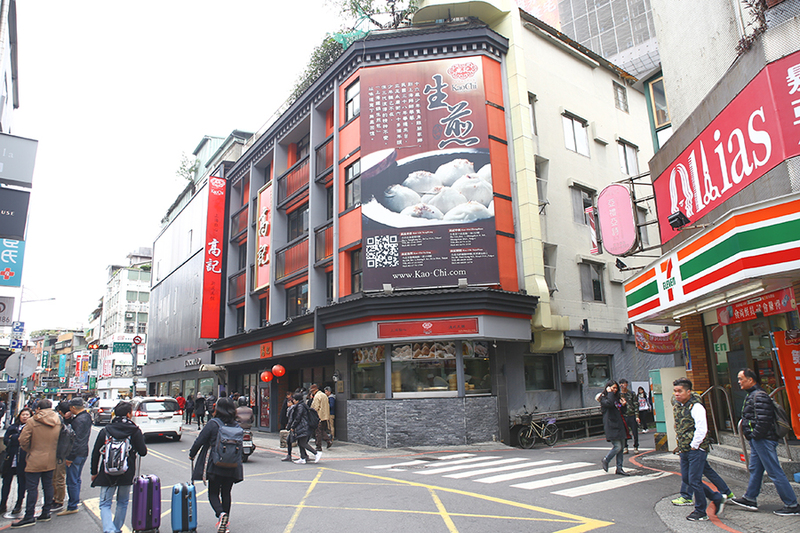 [Taipei] Famous restaurants at Taipei’s Yong Kang Street include Din Tai Fung and Kao Chi. 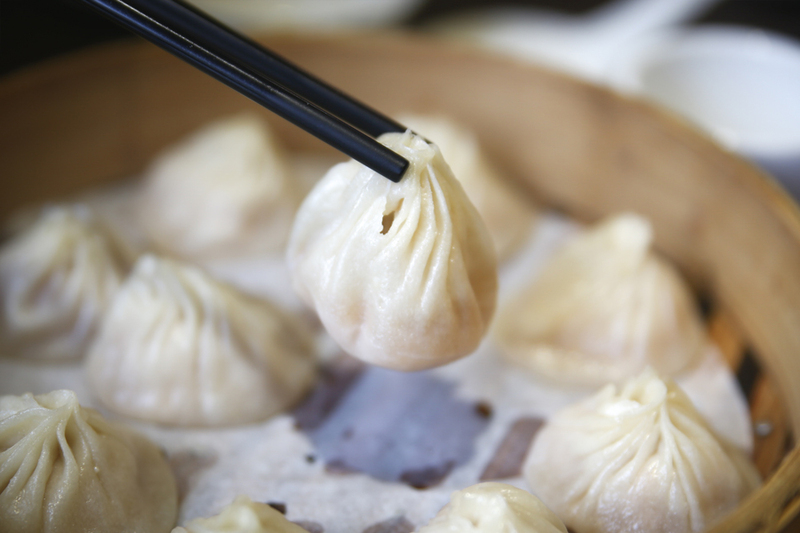 Two similar Chinese restaurants serving Xiao Long Bao and dumplings, with a different fate. 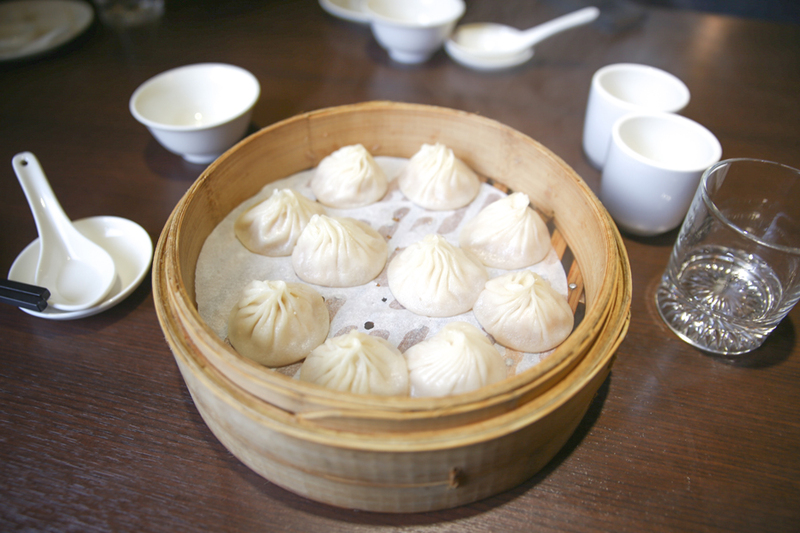 In reality, Kao Chi came before Din Tai Fung, about 8 years prior. 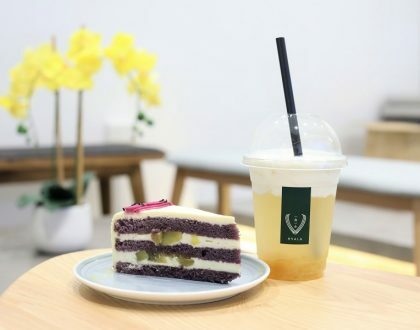 It started as Shanghainese street food stand, and has now a 3-storey flagship store and branches around Taipei including Fuxing South Road and Zhong Shan North Road. 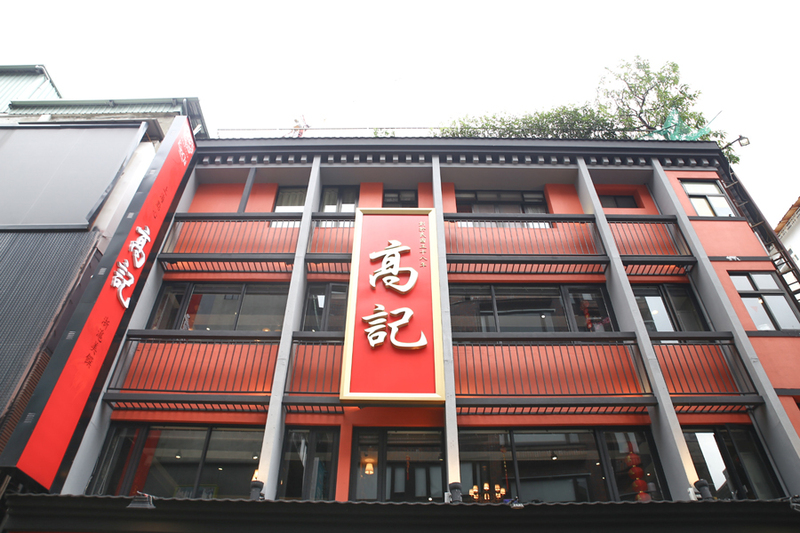 You won’t miss the striking red colours of the greyish building, with curious onlookers watching cooks prepare the dumplings from scratch via the open kitchen. 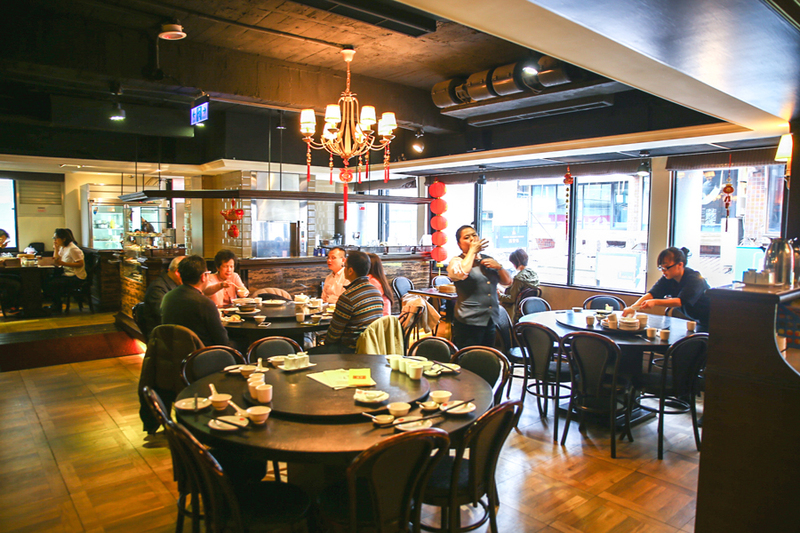 It is hard not to compare the two, and my Yong Kang Street walking tour guide mentioned that fate changed when an important media feature which was initially offered to Kao Chi went to Din Tai Fung instead – which has since set its foot prints in many countries. 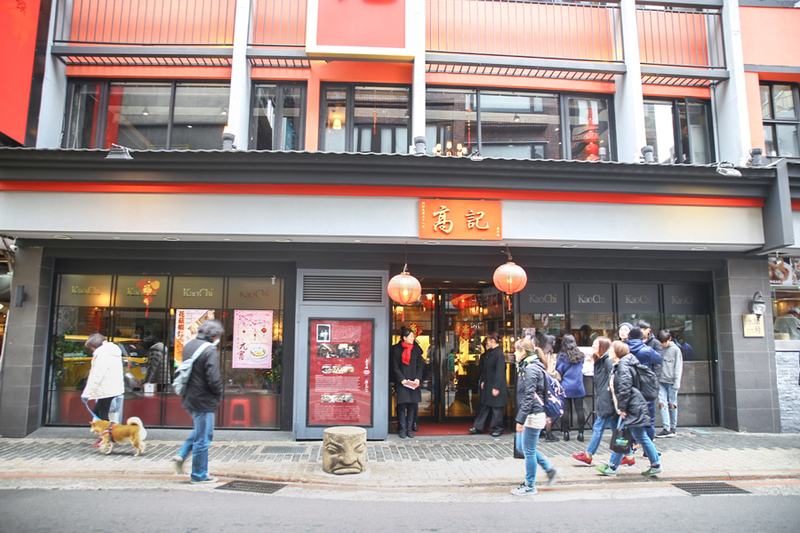 Compared to DTF, Kao Chi was less hyped-up, with not so many tourists crowding around the entrance, but still reasonably filled. The menu offers a wide variety of food. 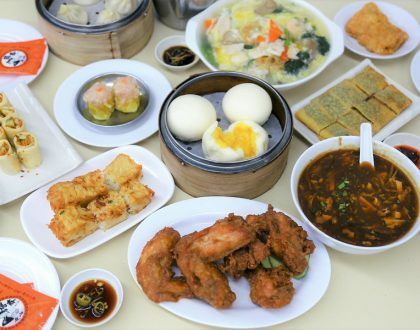 Some of the signatures include Shen Jian Bao – Pan-fried Pork Buns (TWD200 for 10, SGD$9.00); Xiao Long Bao – Steamed Pork Dumplings (TWD220 for 10, SG$D9.90); Steamed Crab Egg and Pork Dumplings (TWD320 for 10, SDG$14.45); Stir-fried Pea Sprout (TWD300, SGD$13.55) and Stewed Tofu & Seafood with Crab egg (TWD360, SGD$16.26). 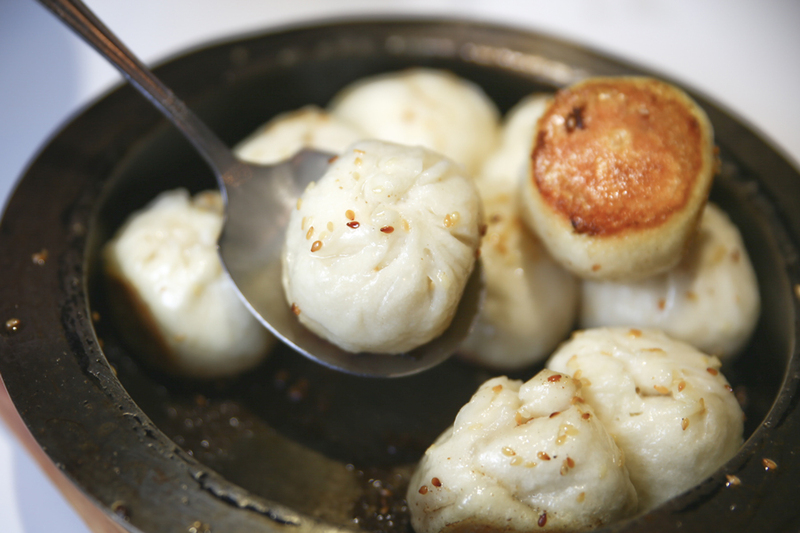 Watching the cooks wrap up Sheng Jian Bao from behind the window, made me hungry with anticipation. However, I was over-the-top with its taste. 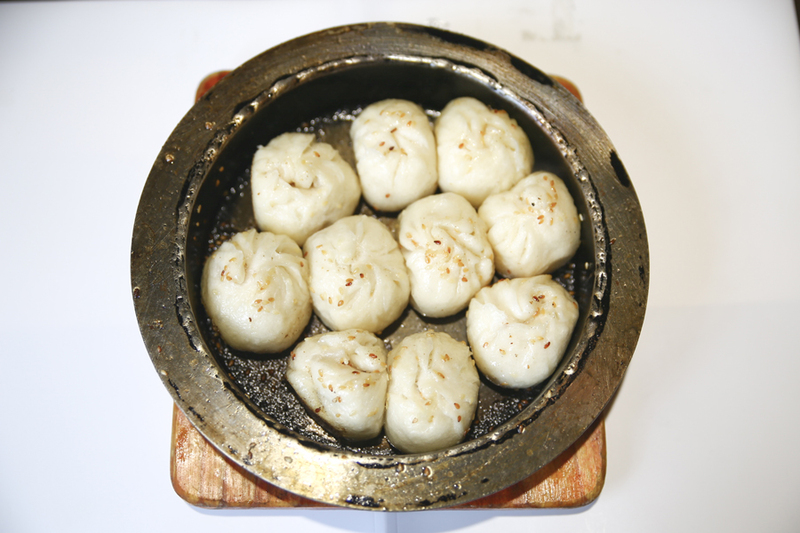 Somehow, the buns weren’t as steaming hot as expected, and could do with thinner skin. Which was unfortunate, because the skin was quite fluffy and tasty. 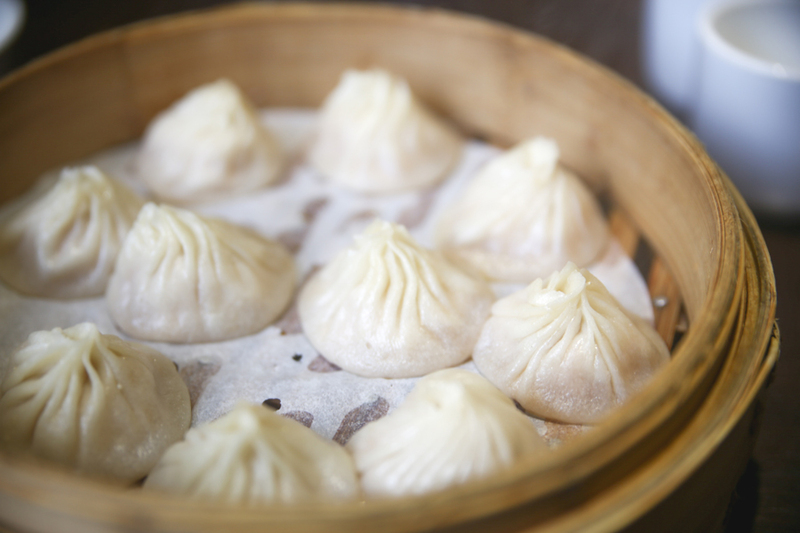 I would consider the Xiao Long Bao of decent quality, with rich, tasty broth wrapped within. Personal preference, but I would have preferred the skin to be even thinner. 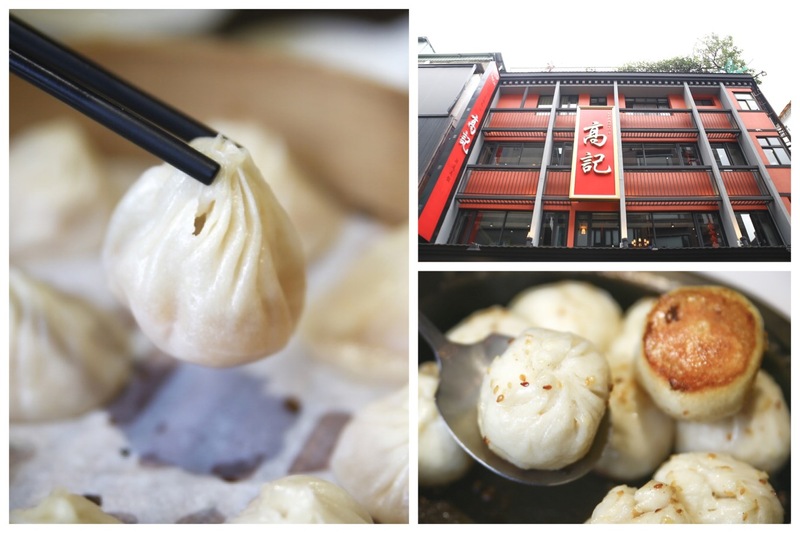 For those who have not eaten Xiao Long Bao before, there are different ways of consuming the dumpling. Some could pop the entire thing into the mouth, but that would be likely scalding to the tongue. 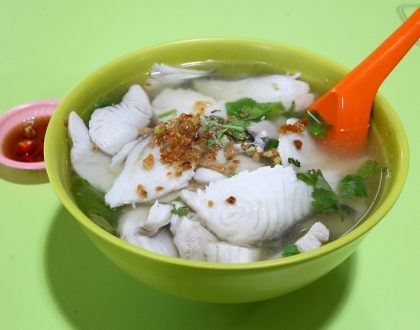 The more proper way would be to nib off a tiny bit off, and let the soup flow onto a soup spoon, to be sipped upon at the end of consuming the dumpling. 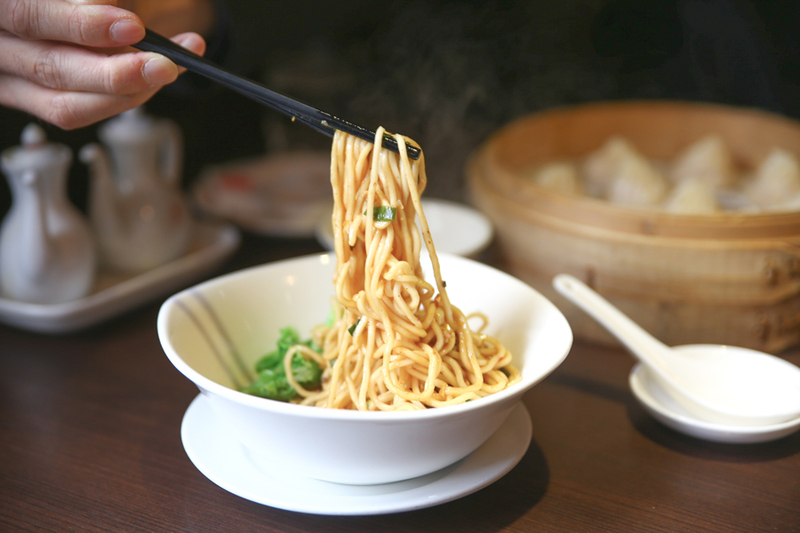 Kao Chi offers a possible, less hyped-up, quieter alternative if you have Xiao Long Bao and La Mian cravings in Taipei. 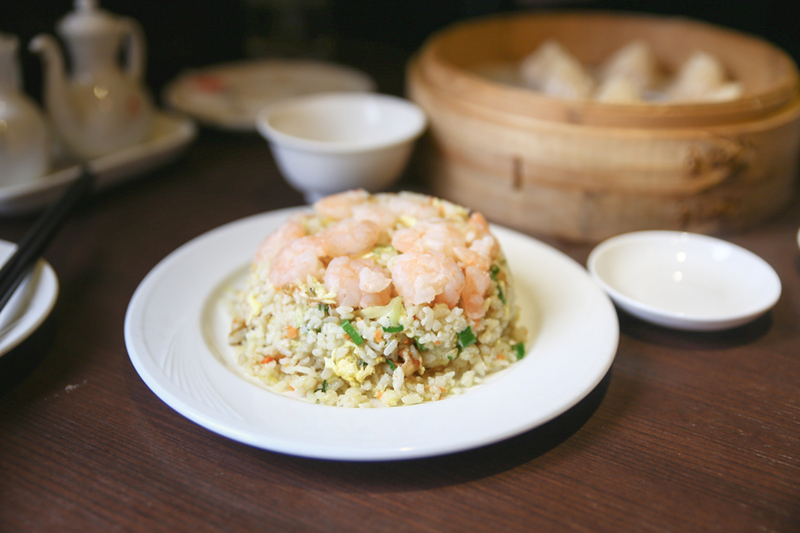 Perhaps I am already familiar with the taste of Ding Tai Fung, I still prefer DTF’s rendition of a couple of dishes better.